1. 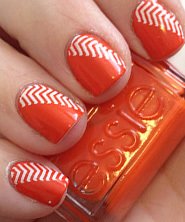 Paint nails with base coat, followed by Essie Resort Fling (peach). 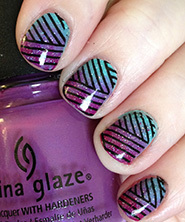 Apply fast dry top coat and allow to dry completely. 2. Cut cosmetic sponge into small square (about the size of your nails). Paint stripes of color on the sponge to use as a tool for the gradient. 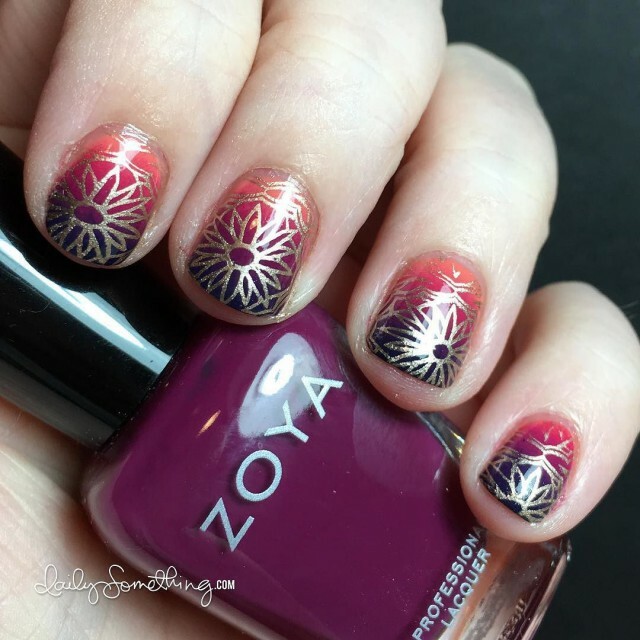 I used Essie Resort Fling, Zoya Margo, China Glaze Wicked Style, and Zoya Ryan. 3. 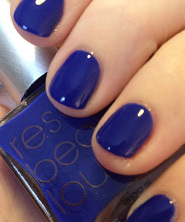 Gently pounce sponge onto nails to transfer color. Repeat if needed. 4. 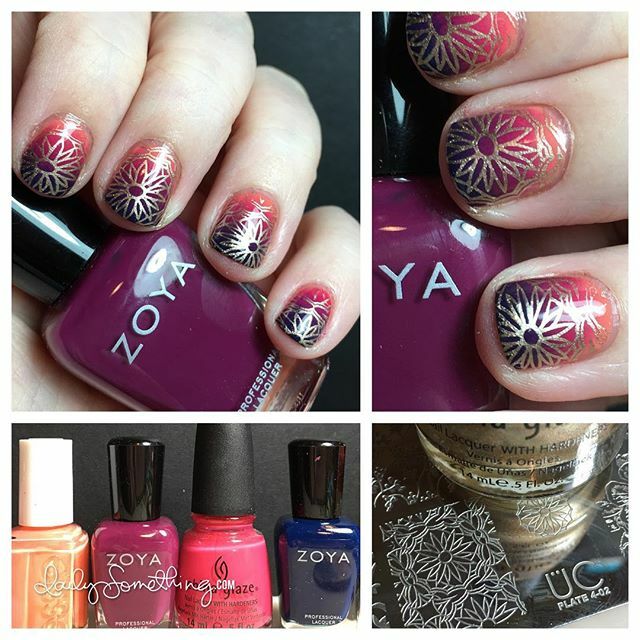 Stamp flower design from Uber Chic Beauty plate 4-02 in gold polish (I used China Glaze 2030). 5. 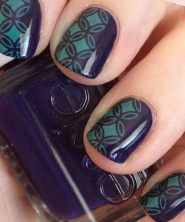 Clean up around nails with acetone. 6. Apply fast drying top coat (I used HK Girl top coat).